Alimak Service offer a comprehensive range of service solutions specifically tailored to meet the needs of our customers operating in diverse and demanding environments. With highly trained service technicians strategically located close to our customers equipment, Alimak Service has the capability to react fast when our customers need us most. Safety runs through the core of our service provision, and as such, our customers can be assured that in choosing Alimak Service the equipment will be maintained to the highest industry standards keeping the people who operate it safe. Service Maintenance Packages are available on all Alimak Group products and are tailored to the individual needs of our customers and their equipment. Our expert After Sales teams will guide you through the service options available, from standard service agreements based on the OEM preventative maintenance schedule, through to comprehensive agreements designed to manage the equipment through the total lifecycle; minimising downtime to assure optimal operating performance. 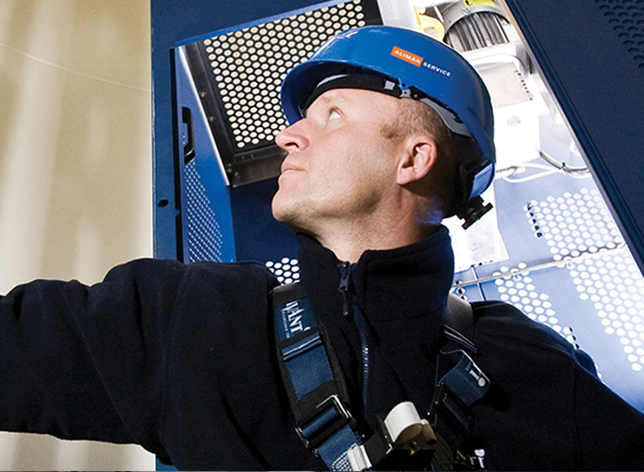 Our expertise in maintaining vertical access equipment makes Alimak Service the first choice for an unscheduled repair or replacement of worn or damaged components. We are specialists in structural, electrical, mechanical and hydraulic systems and have a network of service centres to support work carried out in the field. All repairs are made using genuine spare parts and are warranted against failure. Preventative maintenance assures optimal working conditions and conserves the life span of the equipment. Technical support for troubleshooting and diagnosis of faults to minimise technician site visits and assess equipment in remote locations.